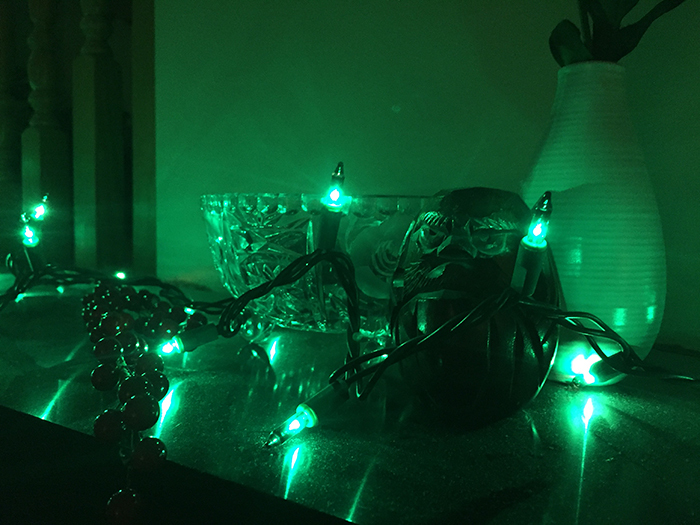 December has just started and as per my usual, I put up the tree and decorations before November ended. Not to worry, I waited until after Thanksgiving...like 36 whole hours. 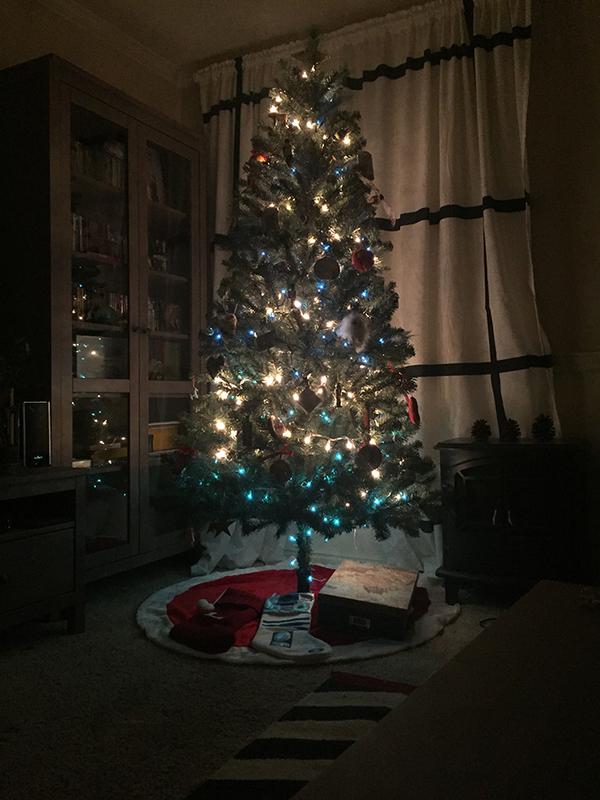 I love the ambiance of the Christmas tree. Sometimes I want to keep it up all year. 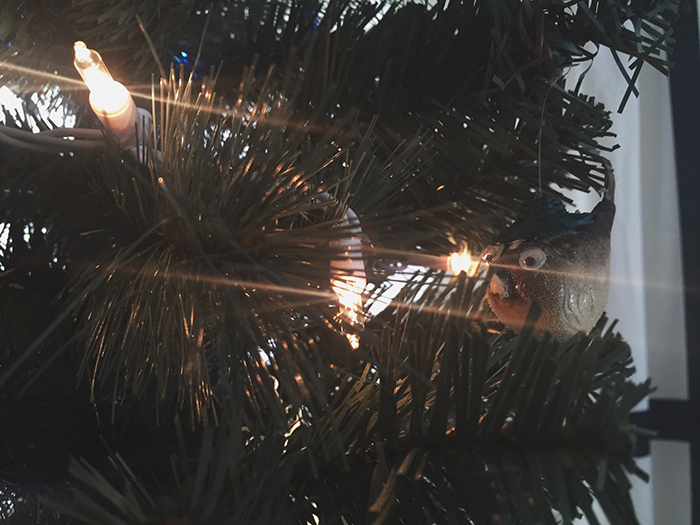 The lights, the memories Justin and I have attached to each of our hodgepodge ornament collection, it all comes together and brings a beautiful atmosphere to our little townhome. 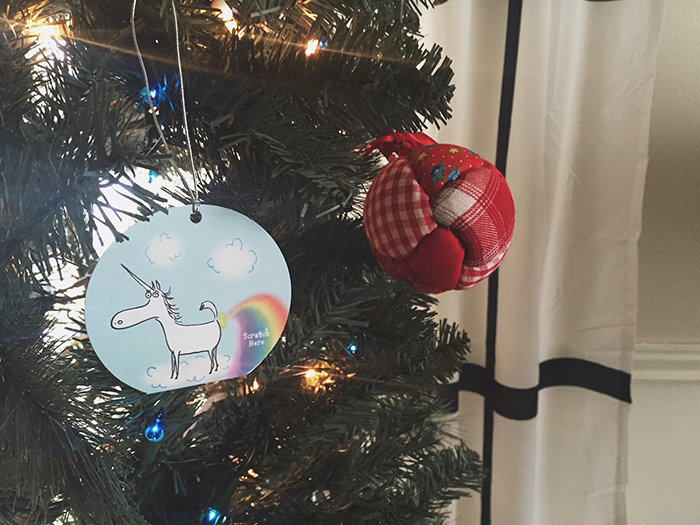 It's always a fun little journey down memory lane whenever we decorate our tree. There's the farting scratch 'n' sniff unicorn that came in a card I sent Justin while he was stationed across the country from me for military duty, and the rosary I picked up in Vatican City on my dreamy trip to Italy, and first trip outside the USA. 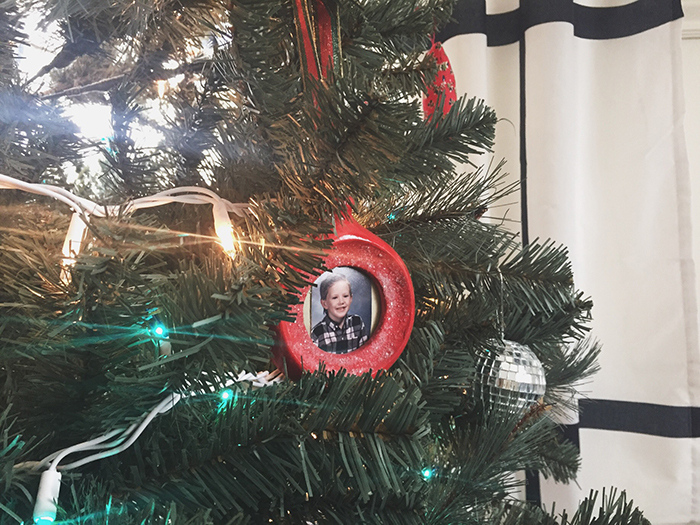 There's vintage fabric ornaments collected from my mom's old ornament stash, and a picture of my husband in kindergarten that he no doubt gave to his mom at five years old. 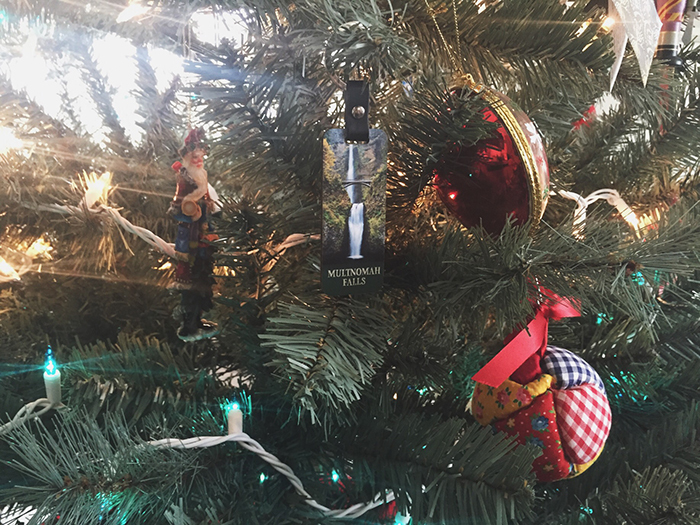 There are 30-year-old half-broken Nutcracker collectibles my mom picked out for each of her older kids when they were little, and a keychain from Multnomah Falls in Oregon that we picked up on vacation for our first wedding anniversary. I laugh every time I see the crazy bug-eyed blowfish that I picked up visiting my husband at one of his station locations. 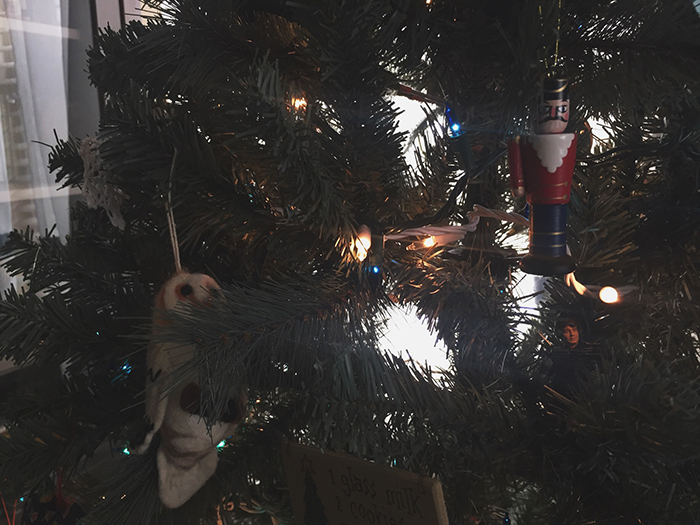 There's the framed picture of my mom given to me by a friend for my first Christmas without her, a tall skinny carving of Santa that I picked up on one of the last adventures we had with our mom. We rode the lifts in the summertime at the local ski resort and looked out over the mountain. She was stronger than she'd been since starting chemo. It didn't last long, but that day was lovely. To remember that day, I purchased the Santa carving at the resort's gift shop. 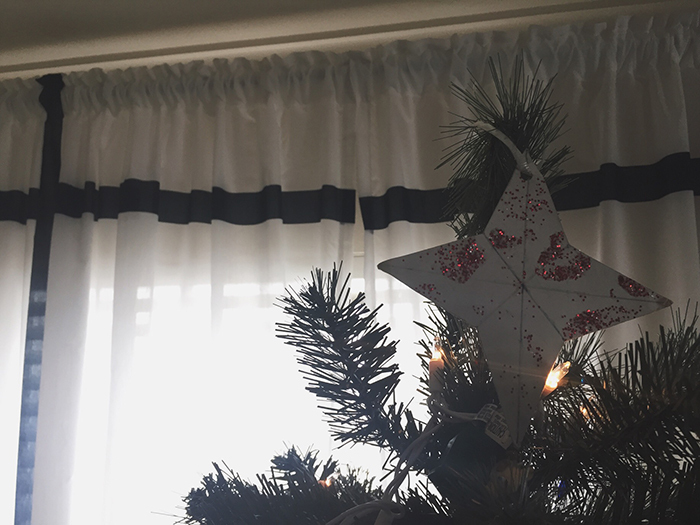 Last, but not least, the tree is topped with a time-worn, cardstock, paper star -- handmade by my oldest brother who died in 1980. 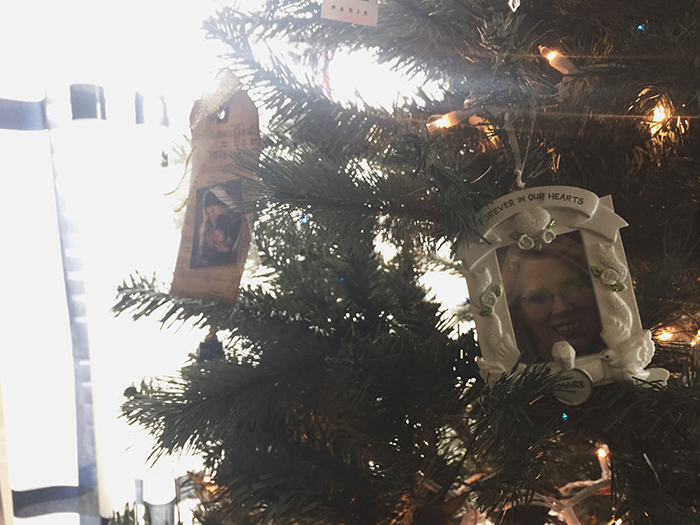 My mom put it on every single one of her trees, and last year my stepdad told me I should have it for my tree, so I put it there every year to carry on the tradition. It's obvious how old it is, the glitter is all but gone. I love our tree full of memories and traditions. 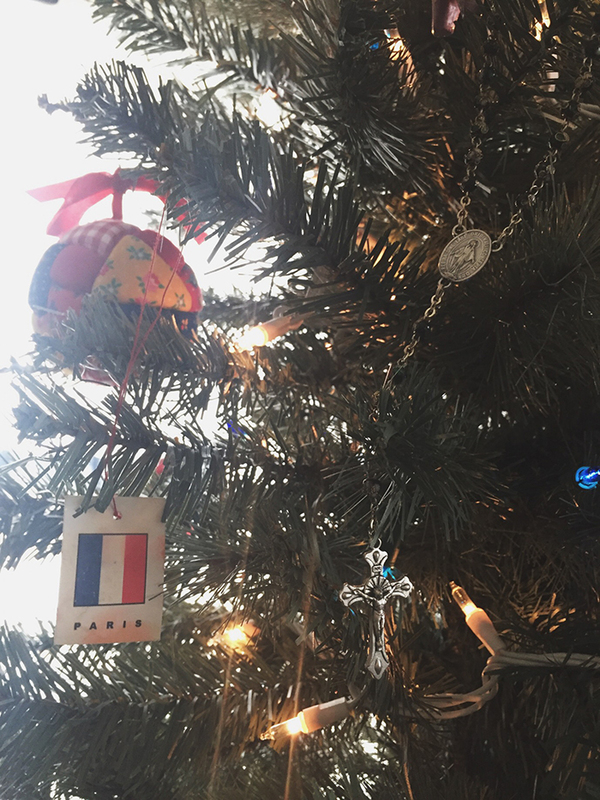 We barely have enough ornaments to decorate the front and sides of our tree, the back stays pretty empty, but as life goes on, we'll collect more from our milestones and adventures. 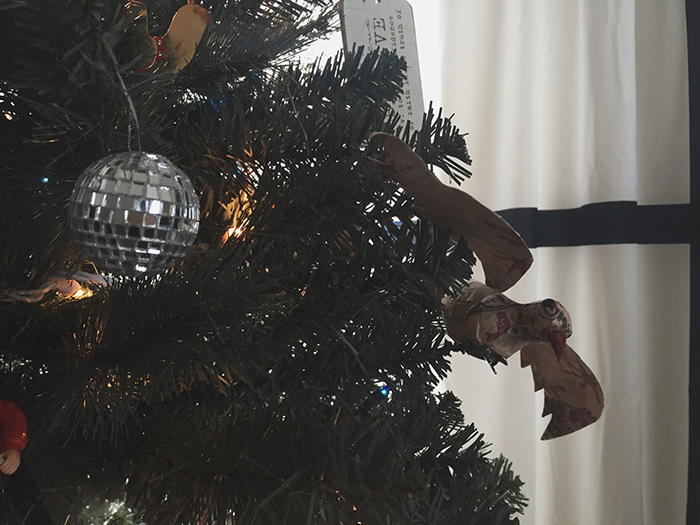 The pictures below show the ornaments and our simple Christmas decor. 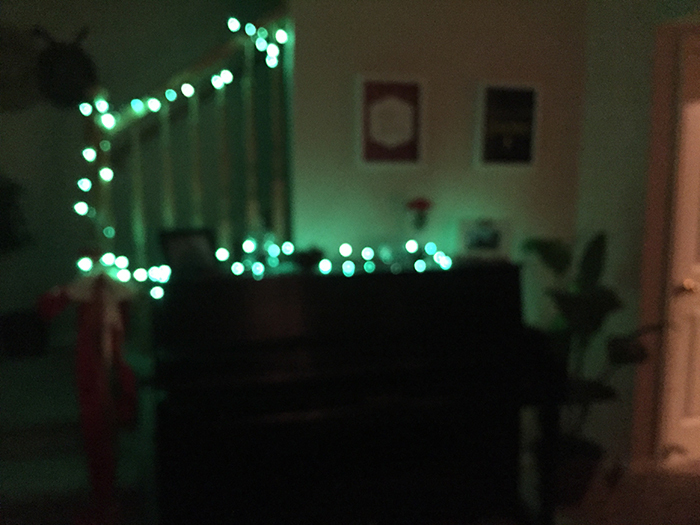 Take a look, and let me know what you think! 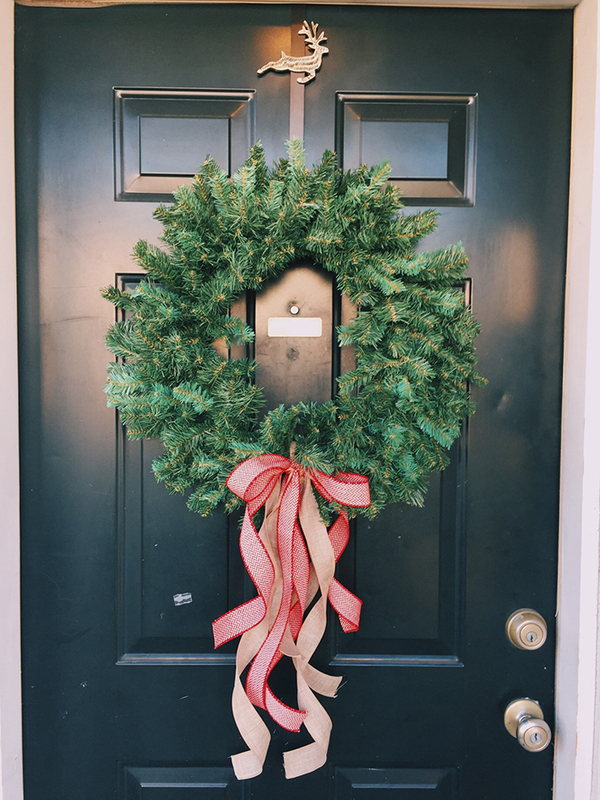 + What's your favorite style of Christmas decor? 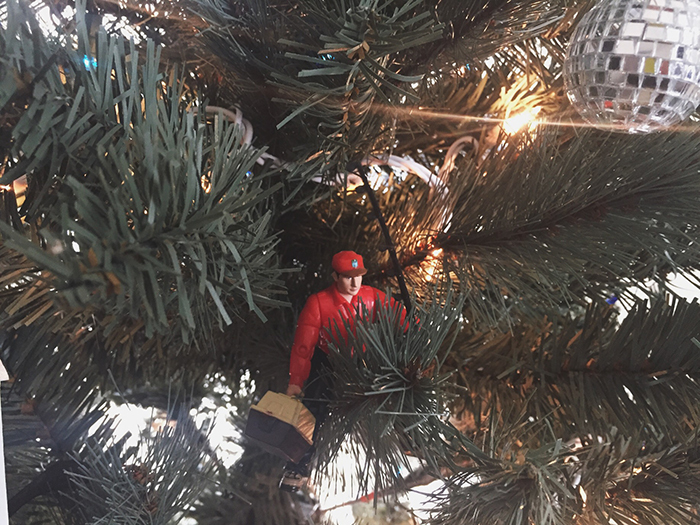 Do you have any ornaments that bring back memories? Please share with me below!